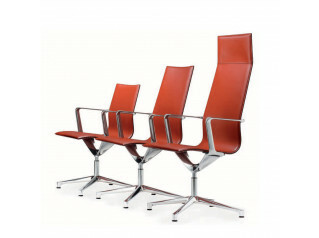 Meda Conference Chairs designed by Alberto Meda, are a flexible and comfortable office meeting seating solution. 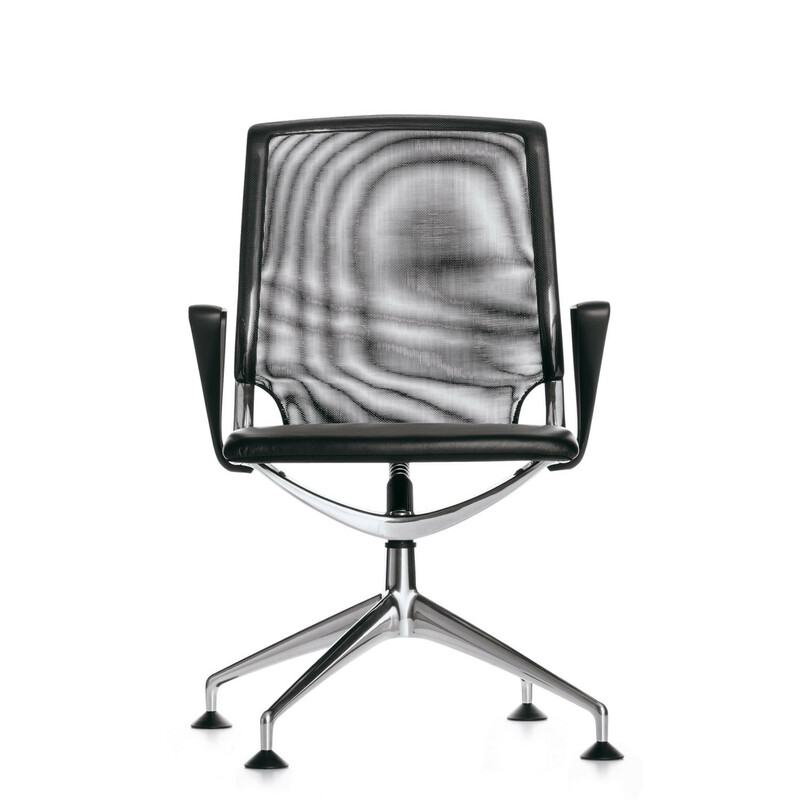 Alberto Meda's work on this modern meeting chair was influenced by his knowledge of engineering. Pairing visual lightness with technical functions, this meeting chair reflects his characteristic design language and ergonomically follows the movements of the body without recourse to complicated mechanisms under the seat, with the backrest tension easily adjustable. Meda Conference Chairs feature synchronous adjustment which is triggered by the user’s movements. 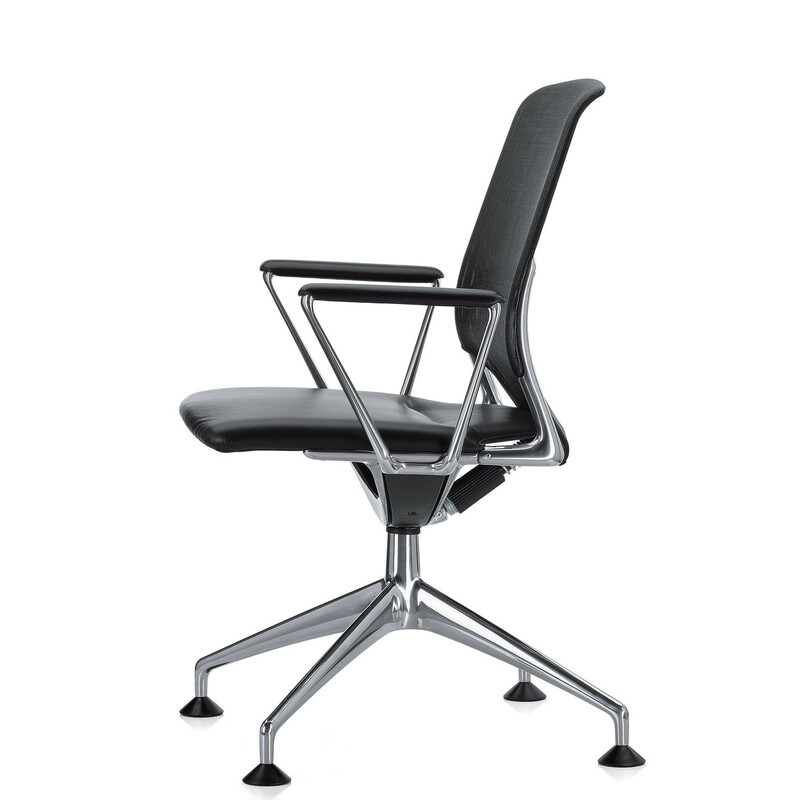 The backrest can be lowered and the seat adjusted using two lateral pivots to ensure a flowing, ergonomic motion sequence. 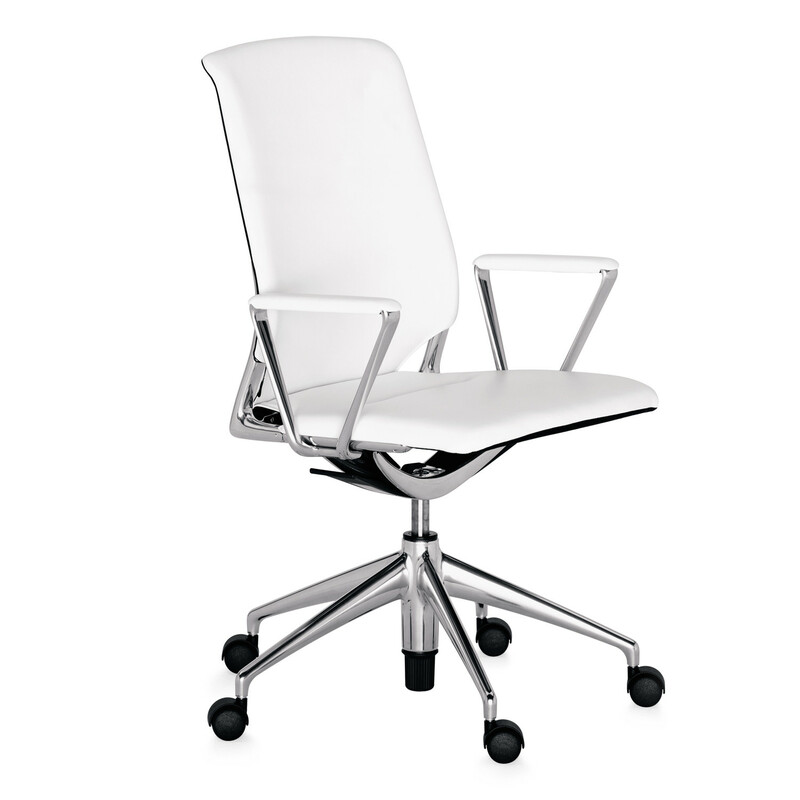 Meda Conference Swivel Chair features a medium-high backrest on four-star base in polished die-cast aluminium. Glides with felt pads for hard floor surfaces are available upon request. Meda Seating successfully combines comfort, technology and a new approach to aesthetics in the office interior. 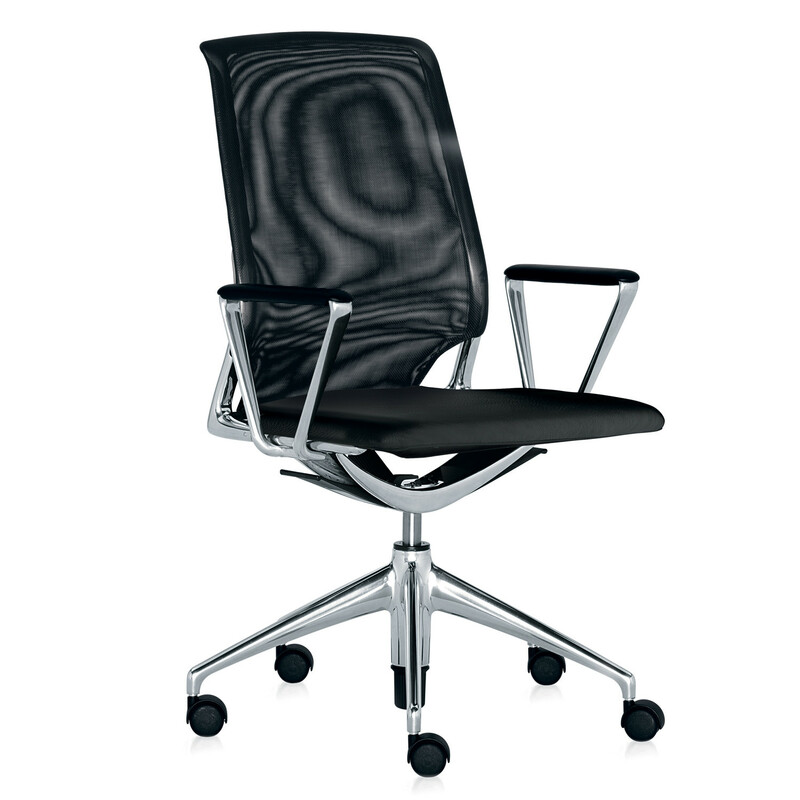 - With or without ring armrests, in basic dark plastic or polished die-cast aluminium with leather armrest covers. - Plastic armrests optionally without covers. - CFC-free expanded polyurethane seat and backrest. - Seat and backrest upholstery stretch over frame. - Seat and backrest in CFC-free polyurethane foam. 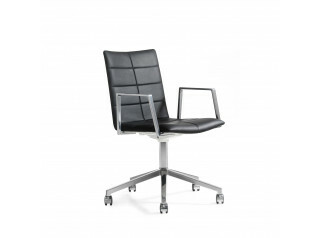 - Backrest covers in leather or double-mesh. - Seat covers in Tesso or leather. 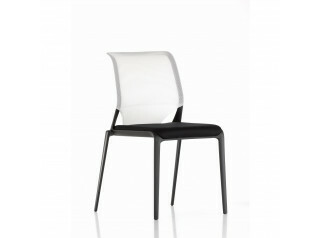 - For leather covers, the reverse of the backrest and the under-side of the seat are both in black fabric. You are requesting a price for the "Meda Conference Chairs"
To create a new project and add "Meda Conference Chairs" to it please click the button below. 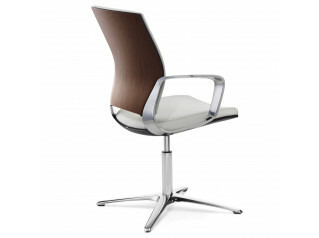 To add "Meda Conference Chairs" to an existing project please select below.